I absolutely love that fact that there is a handle on this strainer! I can't stand putting my hands in unknown stuff found in the strainer, and this handle solves that disgusting problem. It's very easy to dump, as well as to clean it and sanitize it. My favorite thing is the fact that it's stainless steel and a much cleaner option for my straining needs. 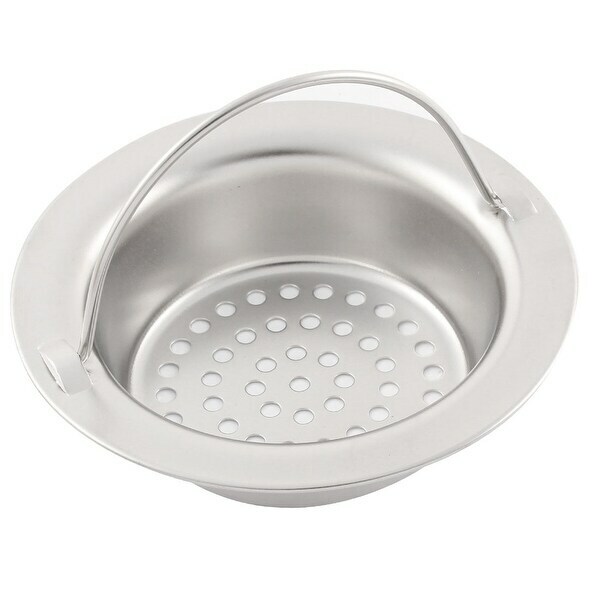 Good Stainless Steel basin strainer with handle for bathroom or kitchen basin round mesh hole for garbage stopper. Avoid the dust flow the water to block the pipe. Perfect for my kitchen sink in my 1930’s home that has no disposal! It catches everything!